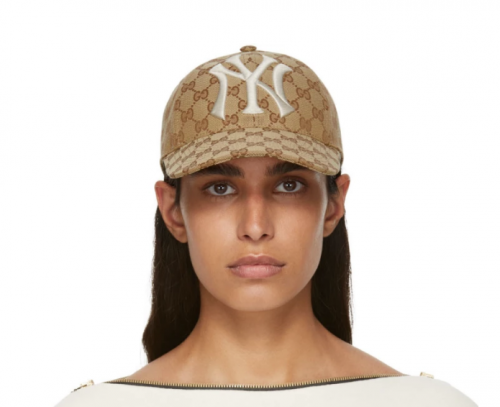 GUCCI pays homage to one of the top selling baseball cap of all time the NY Yankees. This cotton blend twill cap featuring ‘GG’ logo pattern in beige and brown. Oversized logo embroidered in off white at front with the logo engraved on the cinch fastening back. This can take your love for the Yankees or New York to a luxury level and you can get it in your life HERE.